ATG's Skyline Linear High Bay is built for the ground up for performance and versatility. 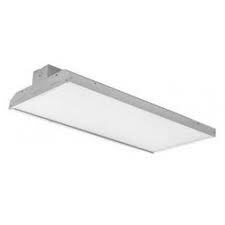 The high-performance fixture is designed to meet DLC's stringent Premium requirements in a variety of use cases. Deployable in damp locations and temperatures ranging from -20C to 50C, this precisely constructed lamp is ideal for virtually all indoor commercial use. Recommended mounting heights vary by model, and range from 15 to 35 feet. The Skyline Series comes with ATG's stellar 10-year manufacturer warranty.